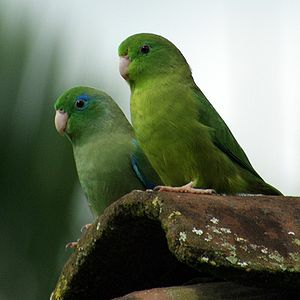 "The best little birds in the world"
Please share any news or articles that you think interesting and a good resource to my readers. Knowledge is power and it can save the life of a little bird someplace. The name implies a very large bacteria , large yes because the cigar shaped organisms are almost twenty times the size of most common bacteria but new evidence suggest it is a fungus and not a bacteria as first thought. As a result of these new findings it was renamed and is now called Avian Gastric Yeast or AGY for short. It is believed by most Avian Veterinarians now believe that as much as 75% of all birds carry this fungus at all times in the crop or digestive system. Only under certain conditions does it become overly active and cause a problem. Each year we learn more information about this illness and different ways of treating it. I have taken precaution and preventatively treated my flock over the years using Sodium Benzoate. Below are some links with good information about this disease and how to treat it. From my experience and after working with other breeders who were dealing with this illness I am convinced that Sodium Benzoate is a very effective treatment and cure. 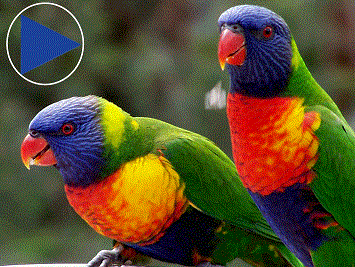 As of now we do not have any standard dosage instructions and most resources will tell you to treat the bird or aviary 4 to 6 weeks. However I know for fact that only after 10 to 14 days of treatment the AGY can be cured and no longer detected by test. When treating my flock I use the below dosage of Sodium Benzoate mixed with spring or distilled water. “going light” – chronic wasting, fluffed up, vomiting, prominent keel bone, increased hunger, large droppings and a pasted vent. Secondary changes can also occur in the liver as the bird becomes anorexic. After 5 to 7 days I used 4 teaspoons of Sodium Benzoate per 1 gallon of water for the remaining time. Starting out with only 2 tsp for the first 5 to 7 days allows the birds to get used to the taste of the water. Almost everything I read online said to treat your birds for 30 days – so that is what I did. However after only 10 days of treatment the AGY has been known to be totally cured and non detected with follow up tests from the vet. Do your online research, check with your bird doctor and watch your birds closely. Do not use on birds that are breeding or that are feeding chicks, Breeding birds tend to drink alot more water causing them to get to much of the medication. This can result in death. Information online suggested using half dosage if you must treat breeding birds or birds that are feeding chicks. You can order the Sodium Benzoate from Pronto Foods Co.
Share the Information. 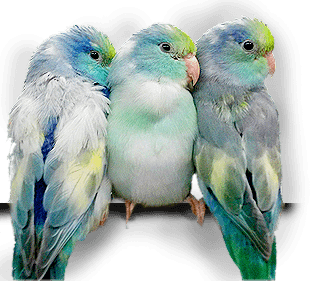 Please send me links to Bird news or articles that I can post and share on the website. Knowledge is power and any time we can share information with each other we are helping everyone! Click the link below. Know what to do when your parrot gets too cold. Accidents will happen. Your best defense is to remain calm and then to formulate a plan. 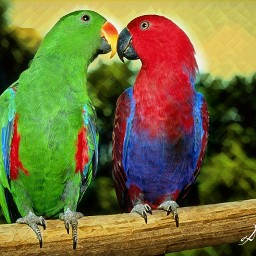 If you portray serenity then your bird will too. Although we all hope to never face an accident involving our avian friends, it’s best to always be prepared and know basic first aid. We can’t always be in control of all situations with our birds. Be prepared for small emergencies. 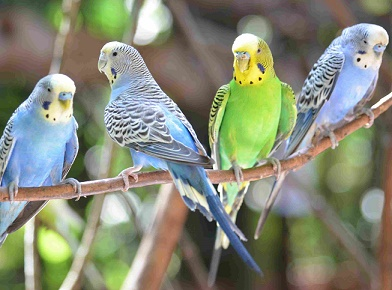 How to handle this common air-related emergency among pet birds. 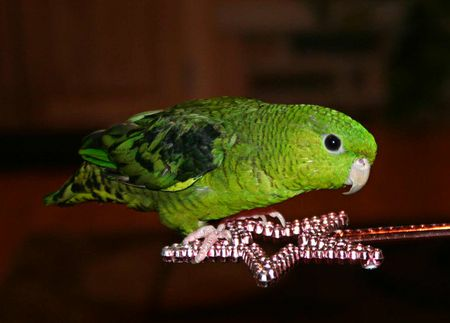 Keep your pet bird’s health in mind in the chance you have to evacuate your home. Plan ahead with these tips to keep your pet bird safe from harm when a disaster strikes. 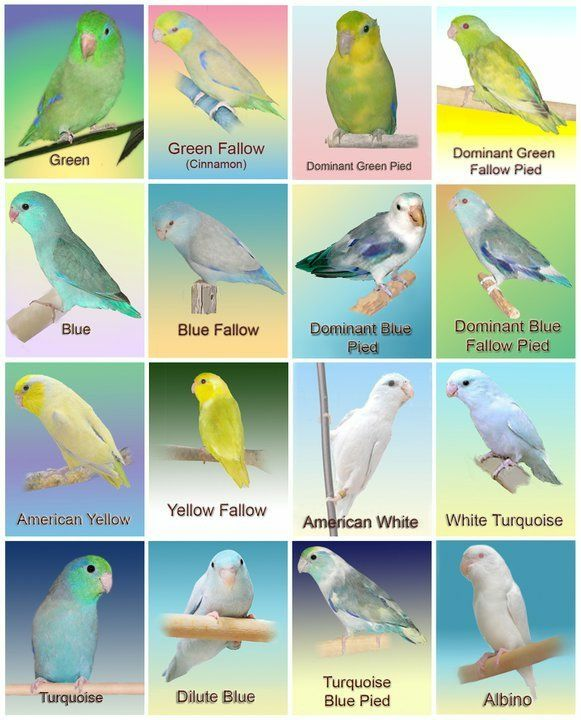 Parrotlet Breeders LuckyFeathers.com © 2019. All Rights Reserved.